In a world of decreasing attention spans and increasing digitalisation, fast fashion has found its niche in the marketplace, and has engrained itself in the mindset of young adults. The rapid changes in fashion trends means that yesterday’s clothes are already in the bin to make way for the trends of tomorrow. Textile dying is the second largest polluter of clean water globally, after agriculture. 20 percent of all freshwater pollution is made by textile treatment and dying. Toxic chemicals wash into waterways and enter the ecosystems and become a major source of pollution. This disproportionately affects those living in developing countries where the factories are generally located. Photo credit: 7 News - The blue dogs of Mumbai (swimming in rivers contaminated with clothing dye). Toxic chemicals and dangerous work conditions put factory and garment workers at risk. Chemical exposure among factory workers can range from acute – irritating your skin and causing rashes or breathing problems – to chronic – cancerous – and can ultimately lead to death. Many garment workers globally live in poverty and are therefore subject to exploitation: verbal and physical abuse and working in unsafe and dirty conditions. In April 2013, 1,134 people were killed and more than 2,500 injured when the Rana Plaza complex collapsed in Dhaka, Bangladesh in a completely preventable disaster, and is only one example of how dangerous these conditions can be. Fast fashion industry's emissions footprint is enormous. There is no way to truly gauge just how much fuel is used in shipping materials and clothing globally. Raw materials can come from China, India or the U.S. and be shipped to places like Bangladesh, Vietnam, Pakistan and the Philippines. Then, garments are put in shipping containers and sent by rail, container ships followed by rail and trucks to the retailer and now, with the rise of online shopping, often to the customer. Considering the sheer volume of clothing created every year, the fast fashion industry’s contribution to carbon emissions is undoubtedly large. 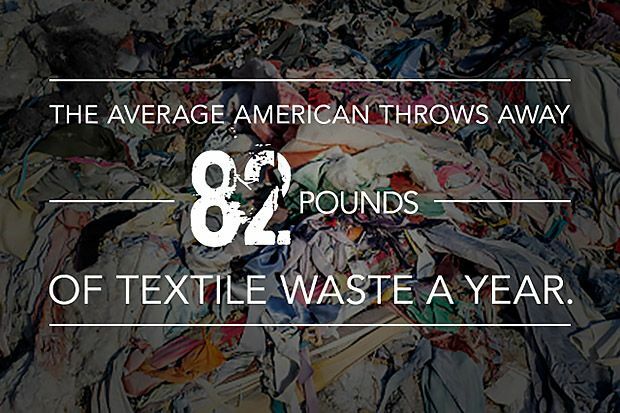 In fact, the ethical fashion forum estimates that around 73 tonnes of textiles were wasted in 2014, with an expected grow rate of nearly 4% a year. We'll be running two major events over the week too! And if you’re not based in London, don’t worry- there are Fashion Revolution events all taking place around the world, be sure to check out what’s happening near you and if nothing is- maybe you could host something?